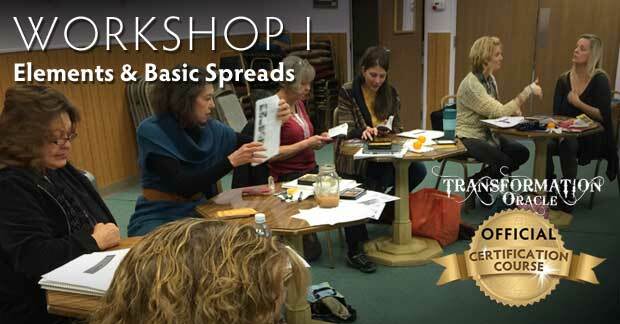 This introductory workshop teaches you how to get started with the Transformation Oracle deck and divination decks in general. We’ll cover three simple spreads, including one channeled spread. 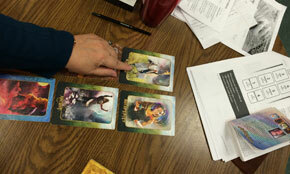 We’ll also delve into interpretations of specific symbols in the deck. Get your basic questions answered! Perfect for beginners who want to learn basics, as well as seasoned readers looking for new channeled readings and insights on the elements. Required for all CERTIFIED READER candidates. 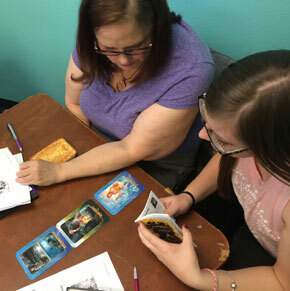 "Sonya really helped us understand how the cards speak to us individually and collectively." "I have to agree with Sandy, an angel on earth seems pretty close to the truth. Thank you so much for a wonderful set of workshops Sonya! I loved how you integrated spirit working through you, the knowledge you shared and your amazing artwork into an intuitive and logically presented workshop. Working on that first assignment now..."
"A lot of classes have come my way and each time I’m ready to pay for a class, I changed my mind (it didn’t FEEL right). However, there was no hesitation for your class. The moment I walked into the classroom, I felt that I’m exactly where I’m supposed to be. Your energy, soul and precise information was a breath of fresh air. I learned so much from you and the others in the class. My journey of awakening has been quite incredible! Everyday, spirit is helping me stay on my path to heal and help others." "It was such an honor and blessing to participate in this course! I learned so much about myself and about this beautiful transformative oracle deck! I look forward to finding out all the stories that will be touched by this gift of divine wisdom! Thank you Universe /GOD for always providing a multitude of love and giving us such a variety of tools for understanding and communication to assist ourselves as well as others on this journey of life! Thank you Sonya Shannon for being willing to be the gift you are and for sharing your talents, wisdom, insight, and heart with us through your connections! Thank you fellow classmates for such an amazing experience. I appreciate the gift that each of you are!"